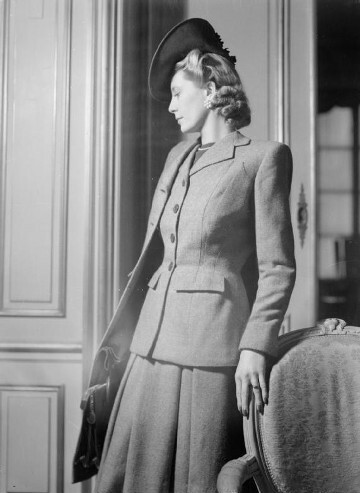 “Fashion doesn’t exist in a bubble,” says author Catherine Hokin in this feature for Historia about a (perhaps conveniently) forgotten period in the history of Paris couture: the city’s occupation during the Second World War. 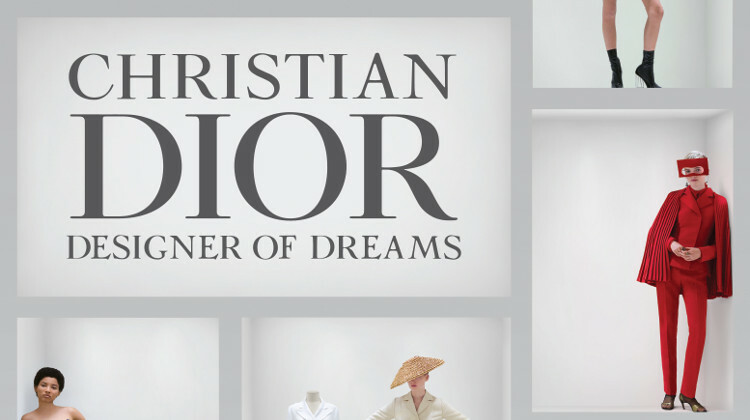 London’s V&A museum is currently hosting one of its most sumptuous exhibitions, Christian Dior: Designer of Dreams. It features clothes from the design house’s founding to the present day and, for anyone with even the slightest interest in fashion, it is a visual feast. 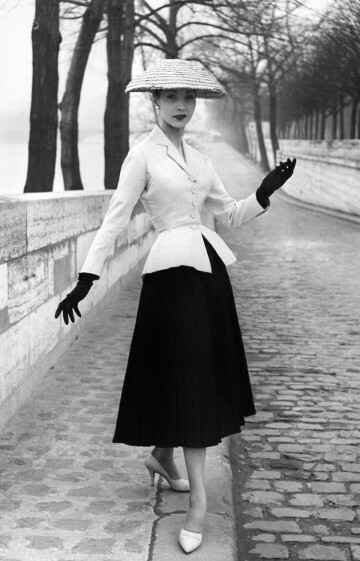 Christian Dior is synonymous with the full skirted, nipped-in-waist fashion revolution launched in 1947 and christened the New Look by American journalist Carmel Snow. At a time when fabric was severely rationed and clothes were plain to the point of austere, his billowing skirts took up to 17 yards of material, required taffeta linings to create their shape and made (in Dior’s words) “flower women” out of the “square-shouldered boxers” uniforms and wartime restrictions had created. Dior saw himself as a magician, one of the guardians who would return “French couture … to its traditions of great luxury.” His ethereal creations, in the words of his biographer Marie France Pochna, “brought dreams, drapes and romance back…onto the streets.” The New Look, however, was not universally applauded. Nancy Mitford described the “magic potion” effect of these dresses which were constructed with padding and false hips to give women made thin by rationing the required hourglass shape. 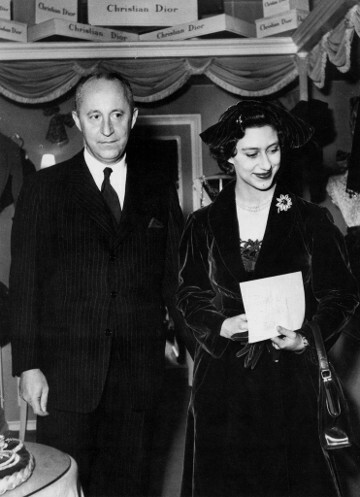 Vivien Leigh, Olivia de Havilland and Rita Hayworth were devotees and Dior hosted a private showing of the seminal 1947 collection for the Queen Mother and Princess Margaret. The iconic dress he designed for the Princess’s 21st birthday is part of the current exhibition. Closer to home, a 1948 photo shoot in Montmartre’s Rue Lepic led to a model’s dress being torn off by a shortage-hampered public furious at the excess. This piece’s title is a quotation from Lucien Lelong, one of pre-war Paris’s leading couturiers, Dior’s mentor (he worked for Lelong from 1941-46) and the man credited for saving the industry during the 1940-44 German occupation. As with all aspects of the occupation, the story of the fashion industry’s survival is a complex one. The history of WWII is littered with ruined cities: in May 1940 with the Wehrmacht closing in, Paris could have expected to become the next Warsaw or Rotterdam. Hitler, however, viewed the city as the model for the Berlin he planned to build. 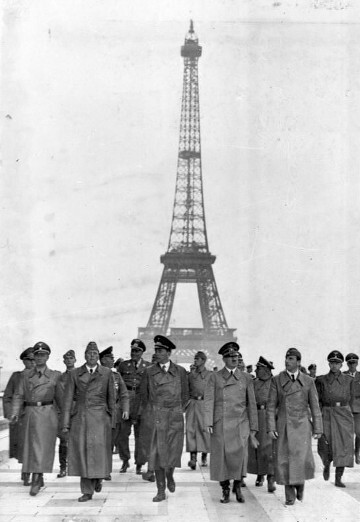 Protecting Paris’s culture heritage, while stamping it with a German ideology, would show the world the National Socialists’ civilised face, and a key part of this culture was the fashion industry. In Britain, Alison Settle, the editor of British Vogue, was forbidden to even mention Dior by a Board of Trade fearing a run on the country’s restricted fabric supplies. None of this features in the exhibition. Neither does the wider context from which Dior emerged: the fashion industry of occupied Paris. Other articles continued this theme: the trade publication Manufaktur was quite clear that “the fashion of the past was Paris – the fashion of the future lies with Greater Germany.” The Nazis’ plan, to be put into immediate operation in 1940, was to merge the French couture industry into the German one by physically relocating its ateliers and workers to Berlin and Vienna. Lucien Lelong, in his role as head of the Chambre syndicale de la haute couture (the industry’sofficial body), was informed of both this and its alternative: the total suppression of the industry. Lelong argued, and kept arguing, that the industry’s 20,000 workers and fragmented supply chain could not be uprooted and transported and survive. For whatever reason – whether (as he claimed) it was Lelong’s persuasive skills or the pressures of the Battle of Britain and the opening Russian Front – the Nazis dropped their demands and the French fashion industry was left to be just that. Haute couture survived in Paris, albeit with mixed fortunes. Lelong continued to show collections as did Jacques Fath, Marcel Rochas and Nina Ricci. Coco Chanel became a supporter of the Vichy. Other designers, including Mainbocher, left. By 1944, 12,000 people still worked in the industry and over 60 salons remained open. Berlin appeared to view occupied Paris as a fashion bread-basket: over 200 Nazi wives acquired special permission cards to buy fashion from its salons. Lelong was tried for collaboration at the end of the war but acquitted, ruled to have only co-operated minimally to save jobs and France’s cultural heritage. He stayed in Paris long enough to celebrate his protégé Dior’s 1947 collection but then retired due to ill health. It is not surprising that Dior, the dreamer and magician, would launch a collection with such a romantic view of the world; it is not surprising a glamour-deprived world, largely, fell in love with it. It is the V&A’s choice to stage an exhibition where context is outside the remit. But it’s a shame. Fashion doesn’t exist in a bubble: from dandies to punks it reflects the world it comes out of and its story runs deeper than simply paying homage, no matter how beautiful the dresses might be. 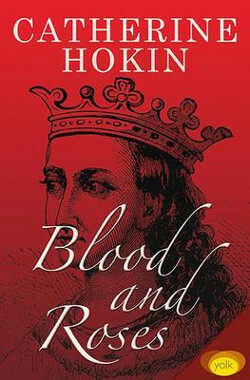 Catherine Hokin‘s debut novel, Blood and Roses, brings a new perspective to the story of Margaret of Anjou and her pivotal role in the Wars of the Roses. Catherine also writes short stories – she was a finalist in the Scottish Arts Club 2015 Short Story Competition and has been published by iScot magazine, Mslexia and Writers’ Forum – and blogs monthly for The History Girls. She is currently working on a set of novels based in Berlin.